as No. 41 of the list (out of only 84 awards in total). He was working as a decorator and acc. to the information, I got from his granddaughter, he was producing cussions etc. 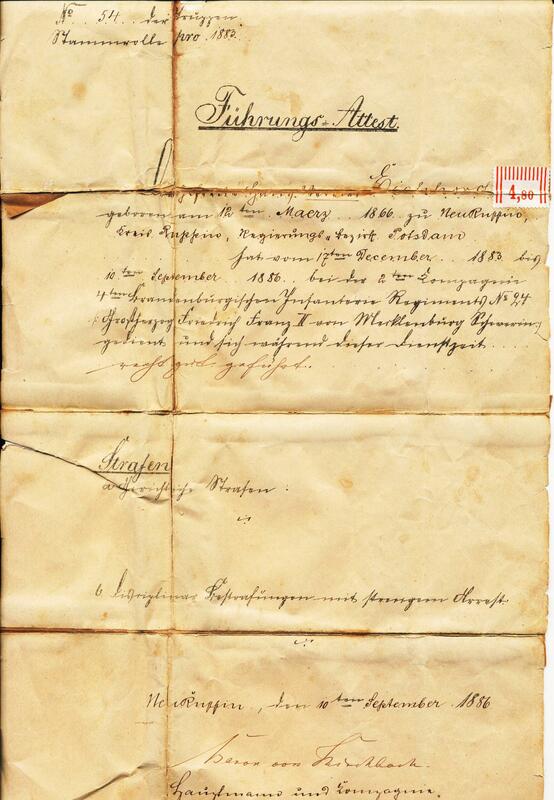 Following this information it is quite likely, that he supplied a new bed for the ruling Prince Leopold IV. zu Lippe-Detmold. Surprisingly he skipped the Bronze and Silver medal and directly got the Golden one. 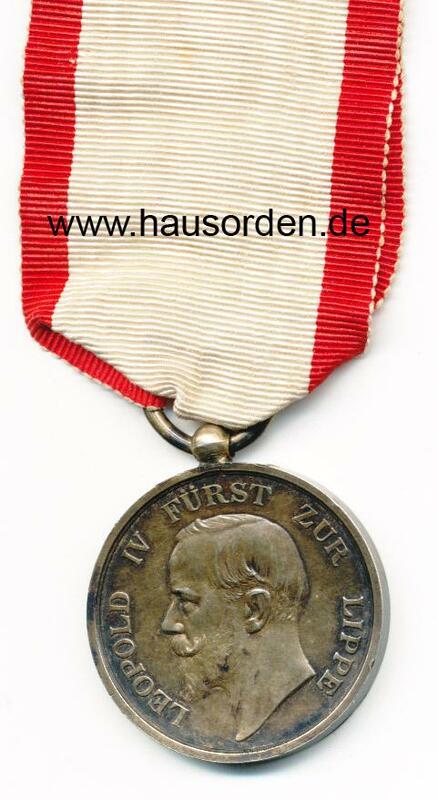 The Golden merit medal was his only award, during his military service 1883-1886 he received nothing. 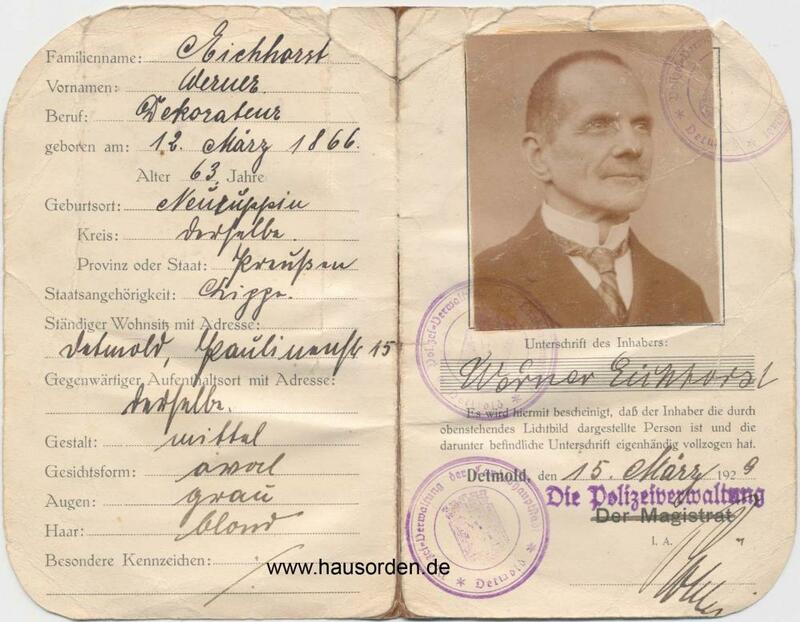 The group consists of the medal, a passport, his Militärpass and the Auszug aus der Kriegsstammrolle. I like it - very much. It looks great, but I want to know which country's badge is it? Lieber? It's the principality of Lippe-Detmold. Now that's a nice llttle set!